Kris Jenner’s family rushed to be by her side as she was treated by paramedics at the scene of a nasty car crash near her Calabasas home. 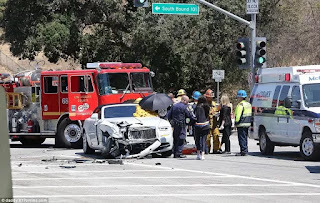 The reality TV star and business mogul, 60, may have broken her wrist in the accident on Wednesday, according to TMZ. 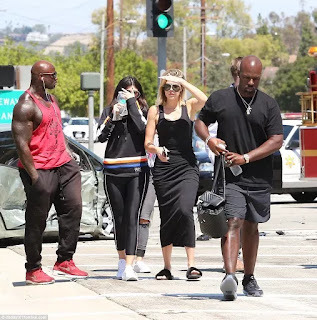 Her daughters Kylie Jenner and Khloe Kardashian, as well as rapper son-in-law Kanye West and her boyfriend Corey Gamble were quick to arrive at the scene of the accident to check on her well-being. Kylie Jenner, Kanye West and Khloe Kardashian were quick to arrive on the scene after Kris Jenner injured her wrist in a nasty car crash in Los Angeles on Wednesday. 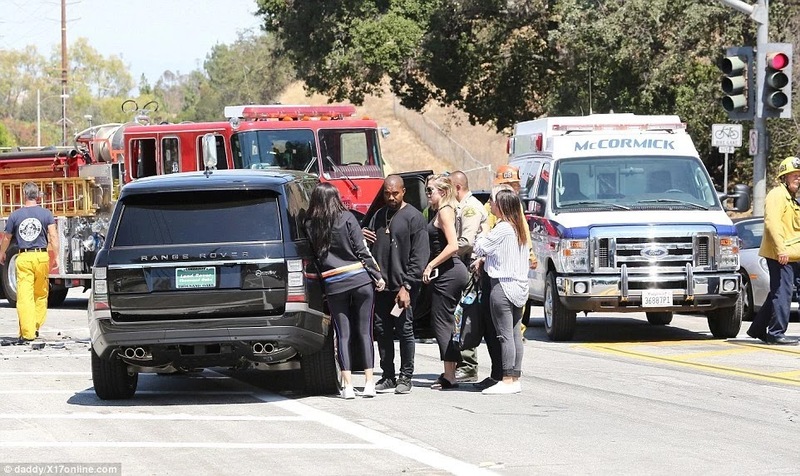 Kylie Jenner and Khloe Kardashian seen leaving Kris’ car crash. 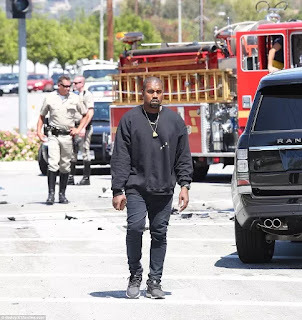 Kylie, Khloe and Kanye all looked visibly rattled as they surveyed the wreckage and took in the scene, which was swarming with fire crews and paramedics. 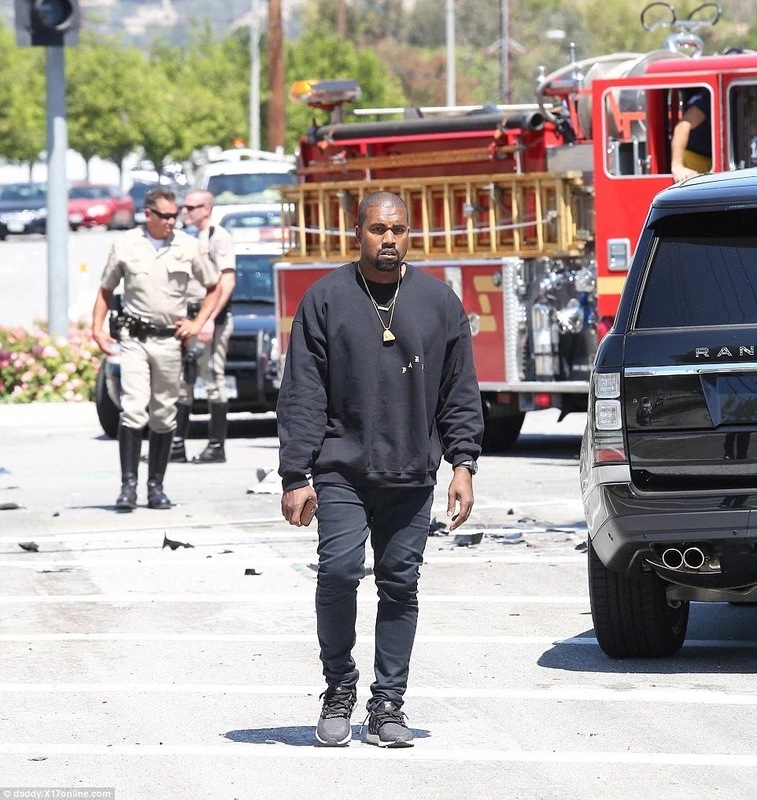 The mother-of-six was treated on the scene by medical crews, who didn’t want to risk injuring her further by removing her from the vehicle, TMZ reported. 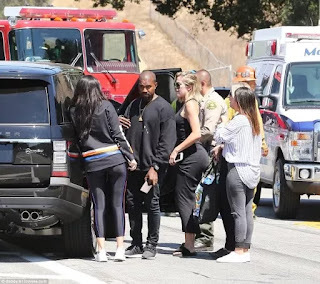 Khloe and Kylie were seen standing by with firefighters and police officers as paramedics knelt down to tend to Kris’s injured wrist inside the Rolls-Royce. 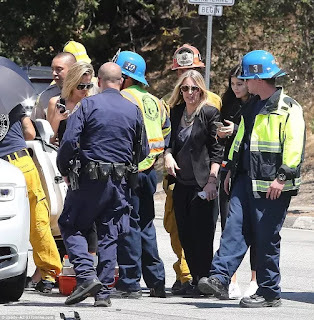 Khloe and Kylie were briefed on the situation by police and officials on the scene, while medical crews attended to Kris as the 60-year-old remained in the driver’s seat. Khloe looked shaken as she spoke with a police officer at the crash site. 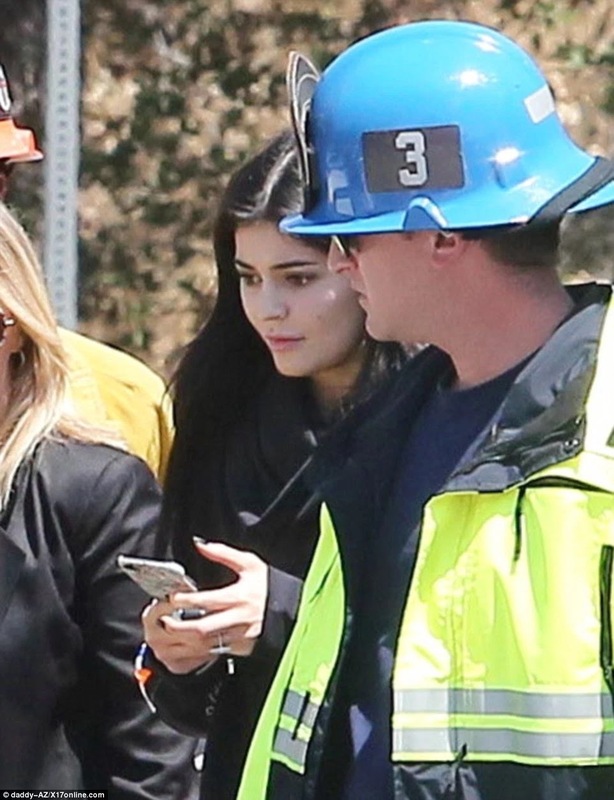 Kylie rested by the roadside as she examined the other driver’s damaged Prius. 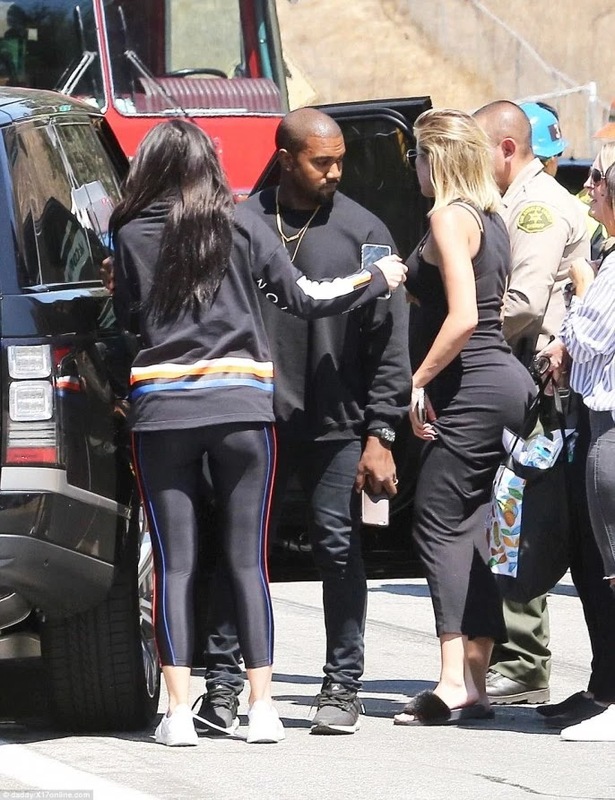 Khloe consulted with Kanye and Kylie as firefighters and police milled around. Khloe and Kylie were seen hurrying away after taking in the wreckage. A green Prius, seen left, reportedly ran a red light and plowed into Kris’ new Rolls-Royce as she drove on a surface street near their Calabasas family home. 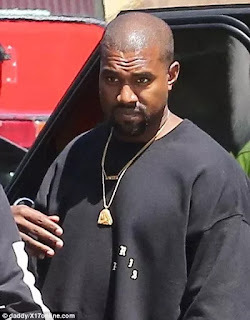 It is popular among the showbiz elite, including chart-topper Drake – who added a similar white model to the black Wraith already parked in his garage. 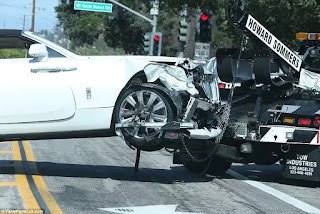 The crash caused very significant damage to the front of her white Rolls-Royce, which was later towed away for repairs. 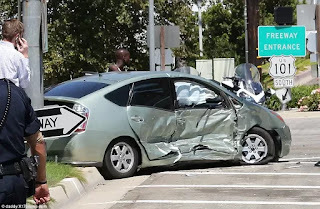 The force of the collision was severe enough for the airbags to deploy. 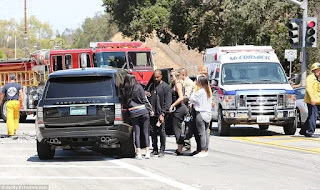 Kylie, who later took to Twitter to assure fans her mom was ok, looked worried and clutched her phone as she arrived in her Range Rover and hurried to the scene. The 18-year-old looked anxious as she arrived at the crash site in black leggings and no make-up. 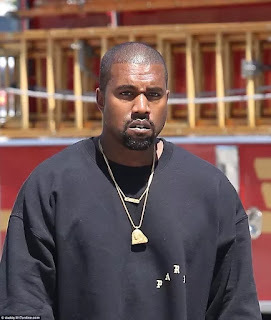 Kanye, who wore a black Pablo sweatshirt and gold necklaces, looked shaken and serious as he took in the scene and discussed the accident with Khloe and Kylie. The teenager hurried to be by her mom’s side after the 60-year-old was treated by paramedics at the scene. 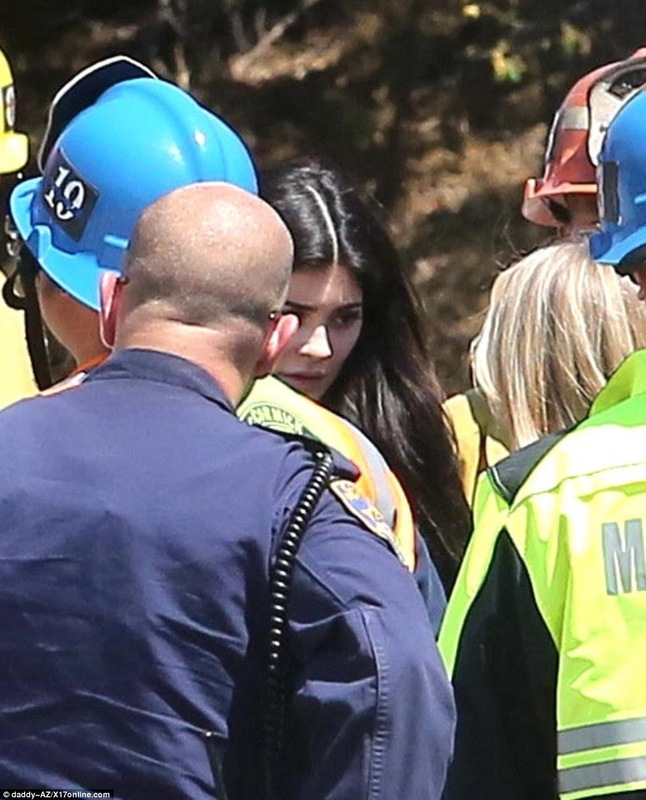 Kylie tweeted that she ‘rushed to the scene’ to be with Kris after learning her mom was all alone at the time of the accident. Khloe, 31, wore a long tank top-style dress and appeared to have hurried out of the house in her fuzzy slippers to be with her mom. Her youngest daughter Kylie Jenner responded to worried fans on her Twitter this afternoon. 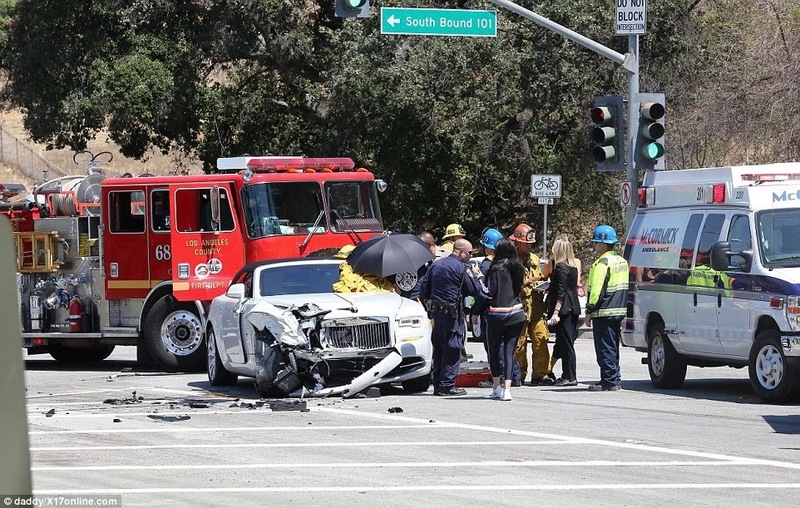 Police officers, paramedics and fire crews surrounded the crash site in Calabasas on Wednesday. Kris was treated by paramedics while inside the car, while an ambulance stood by. 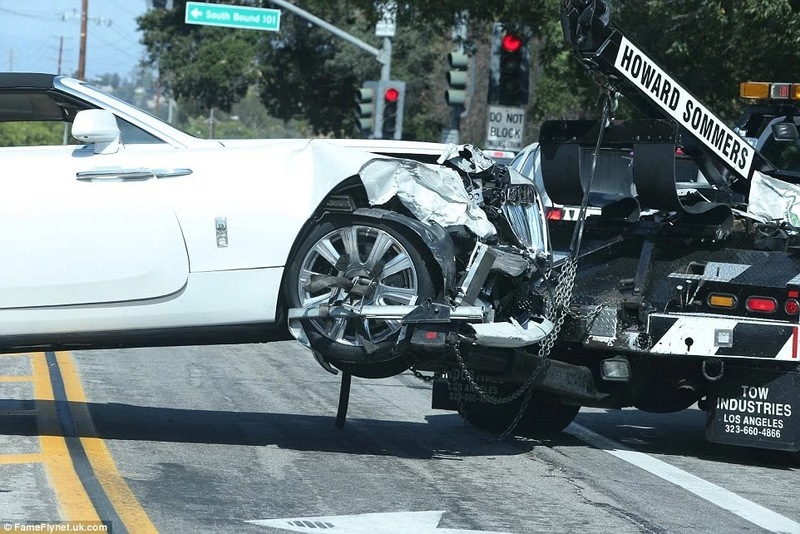 The KUWTK matriarch’s Rolls, which she bought last week, suffered extensive damage to the front, and the airbags also deployed. Medical workers covered the 60-year-old reality star with a black umbrella and then knelt down beside the vehicle as they tended to her wrist. 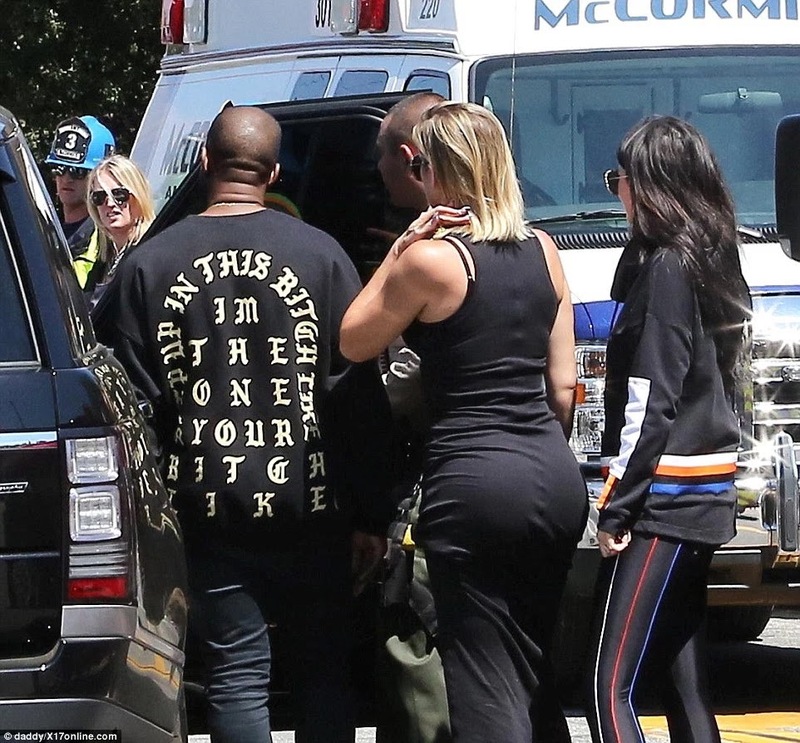 Kanye, Khloe and Kylie stayed close after arriving at the crash site. The family rushed to be by Kris’ side after learning of her crash and injury. The teenager reassured her followers that her mom, who was the only person in the vehicle at the time, is doing fine. And she explained that she headed to the crash site immediately after learning her mom needed support. ‘I rushed to the scene to be by her side becuz (sic) she was alone,’ the teenager told fans on Twitter after they asked about rumours she was driving. 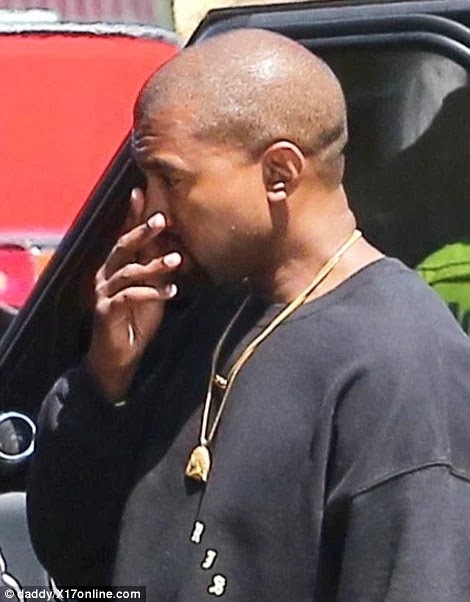 Another fan shared a story circulating that alleged that Kylie was in the car with her mom but the make-up entrepreneur cleared up the rumor. Keeping her followers updated: Her youngest daughter Kylie Jenner responded to worried fans on her Twitter this afternoon. The reality TV star and business mogul may have broken her wrist, according to TMZ; pictured on May 17 in Cannes, France. 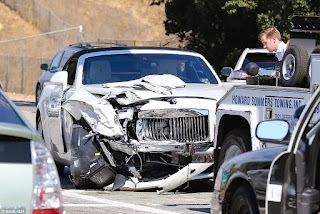 Kris’ ex Caitlyn Jenner was involved in a car crash in February 2015, which left one woman dead. Caitlyn, who was still known as Bruce Jenner at the time, slammed into the back of one car when she was driving along the Pacific Coast Highway, in Malibu, starting a chain reaction. The four car wreck resulted in the death of 69-year-old Kim Howe. The front of the brand new car was smashed in; pictured being towed from the scene.